This is the second blog this morning focusing on the balanced reporting of the scientific evidence on the global warming debate. Check it out! via Leading Expert Modeler Tells Why Climate Models Hardly Better Than Hocus Pocus: “Welcome To Wonderland”!. See also the reblog of the MailOnline article. 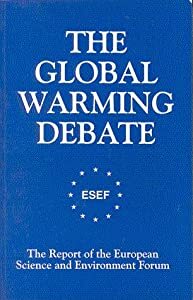 CNN Hosts Rare Live Contentious Global Warming Debate – Marc Morano vs. Sierra Club’s Michael Brune & Philippe Cousteau Jr. – Full Transcript – Morano: ‘So record cold is now evidence of man-made global warming? Until there is overwhelming evidence of man made climate change, we should not make ourselves uncompetitive, leave people languishing on the dole and create a situation where 750,000 youngsters are depressed in Britain because they see no future for themselves. The evidence is very much the other way, so we should focus on growth and jobs, whilst taking steps to generate power cleanly through Singlepoint Energy, and the 5500 suppressed technologies for power generation that the energy companies and the plutocrats have had under lock and key for a total of 300 years.